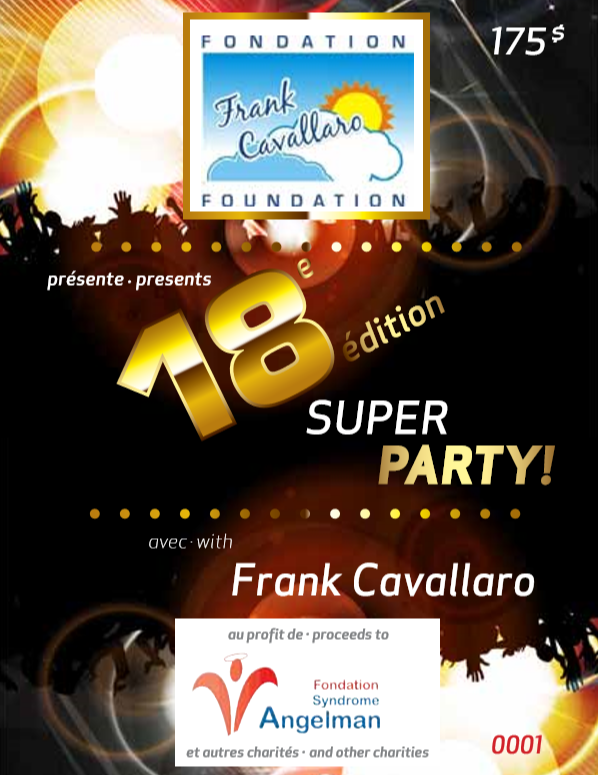 The Angelman Foundation will be hosting a Super Party, Saturday April 21, in Laval, with our benevolent MC Mr. Frank Cavallaro. 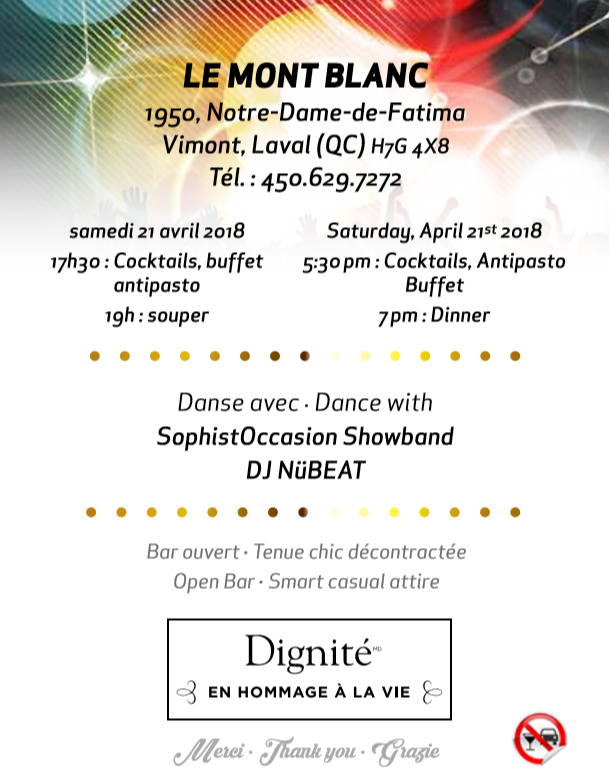 A gastronomic experience with live entertainment and dancing! Open Bar. This major fundraising helps us operate our respite center at an affordable cost for families. Please consider attending, buying a table, selling tickets, share and support this event. We have options for Corporate Sponsors for the party, contact us. We have options for Corporate Sponsors for the party, contact us.